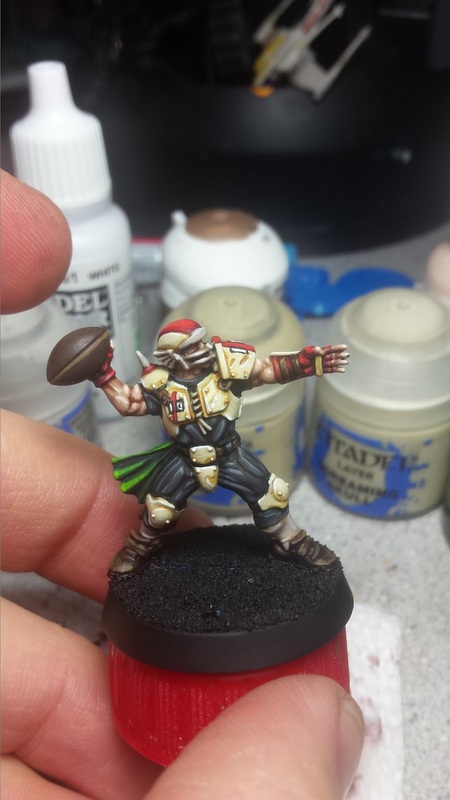 I'm not 100% happy with the color of the football, but I can change that later when I start painting up the ball tokens, if I want to. 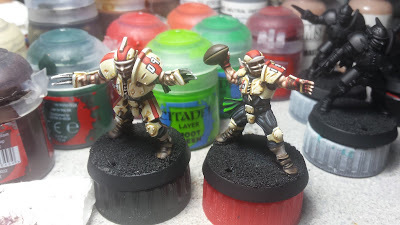 I am really glad I went with red gloves though, I think brown leather gloves wouldn't have looked that great next to the brown ball, especially since it would be the same exact colors. 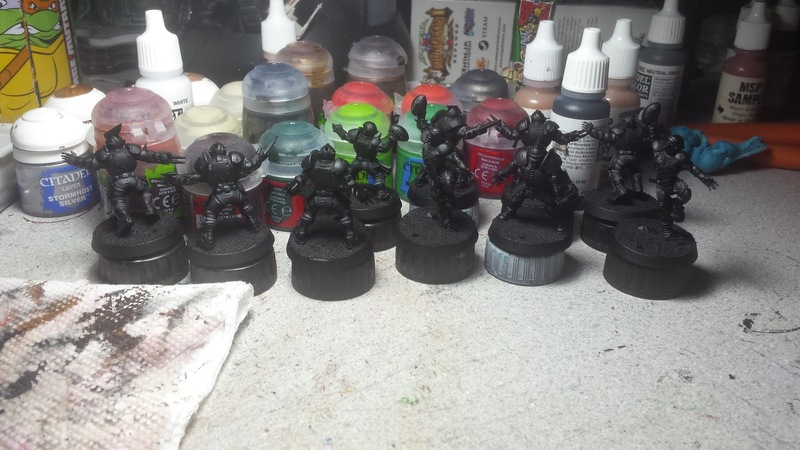 Now that he's all finished, I decided to batch paint the rest of the team. So far, I've gotten all the black cloth painted and tonight I'll work on the skin tones. I want a mix of skin colors throughout the team too, so it's not all just white dudes. 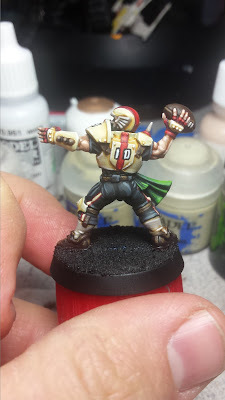 After all the uniforms and skin tones are painted, I'll go through and do all the numbers one at a time. I'm hoping to have these guys done by the end of the weekend and then move onto the Orcs. looking awesome Scott. I like the red gloves on the thrower too. Really helps him stand out as his specialty.